I can already hear Blues fans, after one game against a top offense, deride the addition of Martin Brodeur. Such is the condition of Blues fandom. 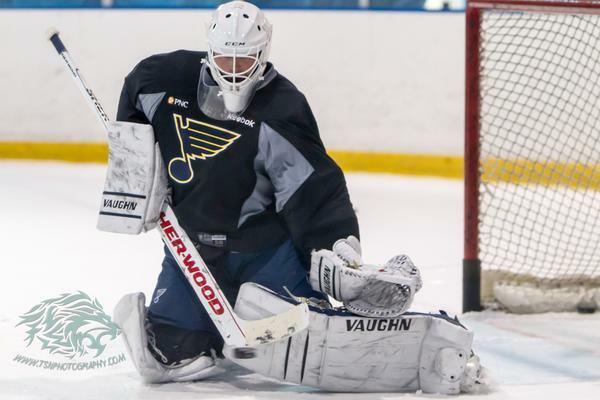 However, for a guy that essentially had the last eight months off, missed this year’s training camp and practiced with his new team for roughly five days, Brodeur looked pretty good. Sure, the timing was a little off. Yes, a little more time behind this system will help to read situations. However, this is a Hall-of-Famer who more than anything simply needs to settle into a new system. Let’s stow the “toldja so’s” for now. Now that the circus has left town in terms of the arrival of Brodeur, the focus now shifts back to winning hockey games. The Blues have had a recent stretch where costly turnovers, lazy defensive play and odd-man situations — three things not normally associated with Blues hockey — are costing them wins. Against division rivals, this cannot happen with any regularity. Recognized as a solid regular-season team, the Blues must prove they can beat their division opponents on a regular basis, or it’s going to be another one-and-done, regardless of who’s in net. Brodeur in the postgame interview in Nashville said as much: “I did it for so long with the same people over and over again, but I’m glad it’s over and I got it under my belt and we can stop talking about it and just play hockey.” The sooner the Blues can focus less on the stars in their eyes and get back to the dirty work at hand the better. The last couple years, Brodeur has had a habit of giving up a goal that 15 years ago he would have had. Given this, the less the team allows ridiculous opportunities to crop up in front of the veteran goaltender, the better. Ryan Miller was brought in at the 2013-2014 trade deadline to push the Blues over the top and win a Cup. No need to sugarcoat that or say it was more of a long-term goaltending fix. The addition of Martin Brodeur, while indeed someone that can win championships, is not really supposed to do anything other than soften the blow of losing Brian Elliott for a couple of months. As such, the expectations are a little different. By having a positive veteran presence in the locker room — especially one with three rings — the Blues are in a great place even if Elliott takes longer than expected to return. With Elliott appearing to recover on schedule from his lower-body injury, the Blues can take their time with his return as needed, without having to rush anything. However Martin Brodeur, as fans in New Jersey have repeatedly seen, has another gear come playoff time. If it’s necessary for him to play in the playoffs, or should he simply steal the #1 spot, fans have every reasonable expectation to think Brodeur at the very least won’t hurt the team’s chances at glory. It’s up to the rest of the squad to start scoring and begin to play solid D once again. But this scenario is icing on the cake rather than the goal at the outset, which should reduce the pressure the veteran has on his shoulders. Brodeur has said this is Elliott’s and Allen’s team, and he’s just here to play as often as he can. 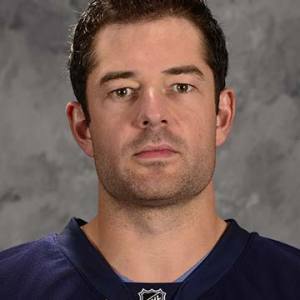 Brian Elliott is already back to skating with the Blues. It’s no secret that Vladimir Tarasenko is carrying this team. That’s a problem. Fans see what’s happening with Jay Bouwmeester’s absence, and any loss of Tarasenko (or his partner in crime Lehtera for that matter) might spell a death spiral in the standings for this team unless that ship is righted. The point is, the glare from the introduction of Brodeur has blinded fans and media alike to the real issues with the squad: they’re winning despite walking a dangerous tightrope. The Blues had five 20 goal scorers in 2013. So far, although Tarasenko is on pace for 66 goals this season, there’s a rather large dropoff in production from everyone else. Stastny and Steen aren’t pulling their weight in the goal scoring department — not entirely shocking with Steen but not acceptable with Stastny’s cap hit — and once opposing teams reliably key on the STL line, our offense is essentially non-existent. Once the team returns to its ways of scoring with balance, preventing odd-man rushes and leaving opposing forwards alone in front of the net, Martin Brodeur might actually have a chance at looking like Martin Brodeur once again.